Last week's TOP selection in the NHL Playoffs from Power Sports was a 5-0 WINNER on Carolina! Now the series has come down to a WINNER TAKE ALL Game 7 and Power is on it! Don't miss the BEST BET for Wednesday's game! Wednesday TNT POWER-HOUSE *SPECIAL* ~ Off Winning Tuesday, 2-1 in NBA! 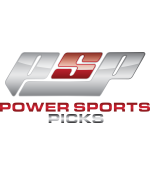 It was a winning Tuesday from Power Sports as he went 3-2 overall, including 2-1 in NBA! He won his lone NBA 10* (Over Raptors) and now turns his attention to a side for Wednesday! This play is the PERFECT COMPLIMENT to Power's 10* Total of the Month! Take advantage of a *SPECIAL OFFER* and "get down" for as little as $25! Power Sports went a PERFECT 2 for 2 w/ NBA totals last night, cashing Over Raptors (10*) & Under Nuggets! He's now hitting 71% in the Playoffsw/ TOP RATED totals! We've also seen Power go 2 for 2 w/ 10* Total of the Week plays in the NBA playoffs! Now, he "steps up his game" EVEN FURTHER w/ his TOP NBA Total for all of April! You in? *This subscription currently includes 3 picks (1 NHL, 2 NBA) but more may be added during the term of the subscription. 8* Under Spurs/Nuggets (9:35 ET): Of the eight 1st round series in the NBA Playoffs, this seems to be the only one where the winner is in doubt. The Spurs and Nuggets have split the first four games, putting us right back to where we started, that being Denver possessing the home court advantage. Perhaps the Nuggets should feel a little fortunate to be tied at this juncture, considering they have been down by double digits in every game. It was an early 12-point deficit that they faced in Game 4, which was erased after halftime, and they went on to cruise to a 117-103 victory in San Antonio. But the Spurs probably should have won each of the first three games. They blew a late lead in Game 2 (here in Denver) that ultimately may prove costly. Both of these teams were much better at home compared to the road in the regular season, so Denver has to be feeling pretty good about itself right now, all things considered. They are 35-8 SU at home this year (best home record in the league) while San Antonio is just 17-26 SU on the road (worst road record of any playoff teams besides the Pistons). The Spurs are 33-10 SU at home while Denver is 21-22 SU on the road. 8* Brooklyn (8:05 ET): Since taking Game 1, the Nets have had a tough time in this series, especially on the defensive end. Not that they were noted as a great defensive team or anything, but they have allowed 145, 131 and 112 points the L3 games and now face elimination Tuesday night in Philadelphia. The good news is that Brooklyn is an outstanding 13-1 ATS since the start of last season if they allowed 110+ points in three straight games. Despite two double digit losses in the series, the Nets have played the Sixers tougher than you might think and I'll take the points here. The Nets led Game 4 at the half, 63-57. They were down only six at the half in Game 3 (lost by 16) and down just one in Game 2 (despite losing by 22). Of course, they won Game 1 outright here in Philly, 111-102 as eight-point dogs. So far in the series, they have averaged 62 PPG in the first half. So scoring has not been an issue for them, at least in the first half. The second half has been a somewhat different story, but the fact is they still are averaging 114.2 PPG for the series. Getting as many points as they are here, a similar scoring output should yield an easy ATS victory in Game 5. 10* Over Magic/Raptors (7:05 ET): This is the lone series w/o an Over so far, in fact, it's the only series where the O/U result has been the same for every game. I had the Under for both Games 1 and 3, but tried w/ the Over in Game 4 as the number was the lowest it had been for any game in the series. It looked like it would be close going into the 4th quarter, but the Magic completely fell apart down the stretch, scoring only 15 pts in the game's final 12 minutes. Toronto has held them to an average of just 91 PPG in the series, on < 40% shooting. Predictably then, the O/U line for Game 5 (which looks like it will be Orlando's last game of the season) is the new low for the series. I saw value in the Game 4 number, so I definitely see value here. Believe it or not, but the Magic actually shot better overall in Game 4 than they had in any of the three previous games. This despite scoring their lowest point total of the series. The problem was they were just 7 of 33 from three-point range. I'm certainly a bit surprised that Orlando has been unable to hit its season scoring average of 106.5 PPG (pretty modest number) in any game yet. But perhaps that time might be Game 5 as they have to start shooting better from three-point range. They certainly can't get any worse. 10* Under Giants/Blue Jays (7:05 ET): This is a National League team playing in an American League park, so the designated hitter is in play. But I'm not sure how much that helps the Giants, who are one of the weakest hitting teams in the sport and the Blue Jays aren't much better. San Francisco comes in having scored only 67 runs, the third fewest in either league. They average less than 3.0 runs/game for the year and have been held to three runs or less in four straight games and 7 out of the last 10. Toronto is hitting just .209 at home so far. Take the Under. The Blue Jays' starting rotation appears to be in massive trouble now that Matt Shoemaker is done for the year w/ a torn ACL. The injury took place on Saturday as Shoemaker led his team to another victory. Toronto is 5-0 w/ Shoemaker on the hill this year and just 6-12 otherwise. That includes an 0-4 record w/ tonight's starter Trent Thornton pitching as he has a 5.40 ERA and 1.418 WHIP. Yet the Under is still 3-1 in those four starts, revealing how anemic the Jays' offense has been at times. They've scored three runs or less in three of Thornton's four starts. Note that Thornton had allowed just 2 runs and 5 hits in his first 10+ innings of work this season. That was against two bad offenses (Detroit, Cleveland), so I'm sure he's capable of rebounding here. San Francisco is also next to last in the NL in on base percentage. 8* San Diego (10:10 ET): This is an annual Interleague rivalry, but something is different about it this year and that's both teams actually come in sporting winning records. When was the last time that happened? The Padres, who started 11-5, got back over .500 w/ a win on Sunday over Cincinnati. While that was going on, the Mariners were losing to the Angels. What's unique is that the two teams were in very different positions Sunday. The Padres were looking to avoid getting swept in a four-game series at home, and they did (I was on them!) while the Mariners were looking to finish off a four-game sweep on the road (which they failed to do). San Diego had lost six in a row before winning Sunday. But it also wasn't that long ago that Seattle had lost six in a row. The entirety of that losing streak came at home and I faded them a number of times during it. I am not a buyer on the Mariners' hot start. This is a team I earmarked for regression in 2019 as LY's 89-win campaign was a total mirage considering the M's were actually outscored by 34 runs. I don't think we should expect the current club's 11-2 record away from home (includes two games in Japan) to be maintained either.